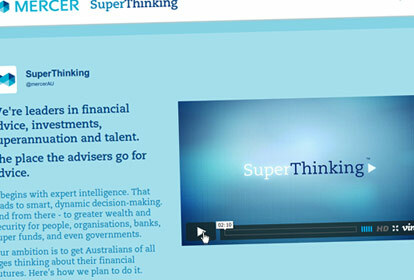 Brochure site for Mercer Australia's line of superannuation and investment products which was heavily publicised in both print media and radio shortly after launch. Featuring a fully responsive web design template down to mobile browsing devices, parallax page scrolling effects, embedded web video and custom typography in line with Mercer's style guides. The AFL trade week and resulting national player draft are two of the biggest and most hyped events of the off-season calendar. For the 2010 NAB AFL Draft a ground-up redeveloped live event tracking web application was successfully developed and deployed for the AFL by Magnetikonline. Providing full statistics and video highlight packages per player, view by club/round display options and a page design in keeping with the rest of the AFL.com.au website and NAB sponsorship branding. In addition, full hosting of the application was handled by Magnetikonline, providing viewers with sub 10 second updates and delivered over 10.2 million player selection requests during the three hour peak period window. In a move away from their traditional print catalogues produced at the commencement of each fashion season, Country Road decided it was time to provide their loyal customer base with a richer and interactive digital catalogue viewing experience. The series of catalogue editions provided viewers with high quality imagery, full screen product previews, roll-over and touch gesture "hot spots" displaying popup product details, regional pricing and the ability to share individual product spreads on Facebook. To give an app like feel, catalogue pages were intelligently "lazy loaded" only as required and support was provided for left/right swipe gestures available on tablet browsing devices. 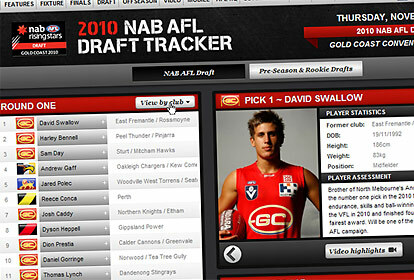 To help build fan engagement with clubs the AFL commissioned the creation of the "Best 22" web application for the 2011 season, giving users the opportunity to make predicted starting player selections for their club at each game and have those selections ranked against other users in real time. The application was themed for each club with background/header graphics and distinctive colour schemes, provided full details for each player on the clubs roster (including current injury status) and allowed users to share their final selections via Facebook and Twitter. Hosting for the system was successfully managed by Magnetikonline throughout the entire AFL season. 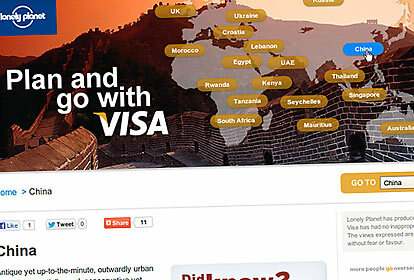 All content was written specifically for exclusive use within the website, using Lonely Planet's distinctive and informative writing style and imagery. The site faithfully reproduces the design treatment provided by the Lonely Planet in-house team and offered image galleries & interactive calendars for each destination section. Using Docker to create a self contained and automated install of the W3C markup validation service. Includes HTML5 document validation via a local Validator.nu instance which integrates nicely within the W3C validator. Easy as pie web image thumbnail generator for PHP 5.2+ with dimensions given by the request URL and implementing a no-nonsense image caching strategy. A bash script wrapper for the AWS provided s3curl.pl utility, adding the ability to access S3 file resources using IAM roles on EC2 machine instances. Handy for securely downloading required resources during the EC2 initialisation (user-data) phase. Provides routines for event handling, DOM querying & manipulation, CSS3 animation/transition events and various utility methods. Bringing together my collection of common use Sass stylesheets and mixins. All implemented using SCSS syntax and forming the base for all current Sass authored project work. @georgeharito Yeah I think you'd be hard pressed to find any new works being done with BC style fittings, no? I really wish companies/staff could give up on HTML/image based footers on emails - such a waste of space/noise when I'm trying to browse an email thread via Gmail. @georgeharito Well spotted. Looks like a good system, but a bit excessive you would change your whole set of light fittings for it.